Greg Summers is the acknowledged expert in the field of corporate event hosting (MC) and is the first choice for companies such as Diageo and Mercedes Benz. We are proud to announce our sole representation for Mr. Summers. If your event requires slick, confident presentation, seamless integration from one scenario to another and above all a passionate enthusiasm for your message then you must book Greg. It may be tempting to opt for a celebrity option for this role and if the budget is there for this it's certainly worth speaking to us about. Time and again however it has been our experience that in order to secure a celebrity with the necessary experience and confidence who is prepared to spend up to 5 hours working to make the event a success you'll need a great deal of luck and very deep pockets! The solution is Greg Summers. Greg will consult with you directly to discuss your aims for the event. He will work closely with the event co co-ordinator and agree a schedule. He will host your event, introducing the various aspects and personalities involved. He will host any auction aspect of the event if a fundraiser. He will interview key personalities involved in the event and is comfortable with and unfazed by celebrities. He will perform up to one hour as a broadcast quality DJ before handing over to the working DJ. Sorry, Greg Summers doesn't have any photos right now Send us an enquiry and we'll get back to you, or check out the rest of the act profile. 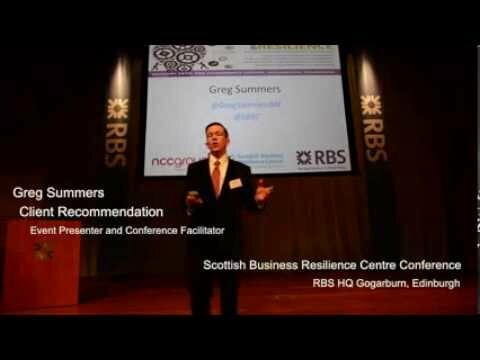 Greg Summers is our first choice for Compere services and has performed brilliantly at the Glasgow River Festival. 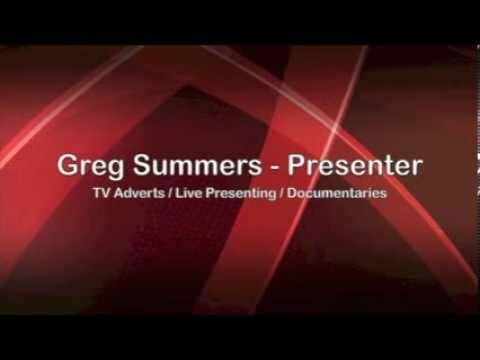 Greg will continue to be our first choice for Presenter services and we look forward to working with him at future events. Chas Hewett, Glasgow River Festival Director. Greg Summers is without doubt the essential element for any event. He is often the first choice for many of our discerning clients. You simply won't find a better Host or M.C anywhere in the country. Craig Gardner, Manager, Hiton Glasgow. Thanks so much Greg for your disco and entertainment services for our annual Ball at The St Andrew's Bay Hotel. The dance floor was packed all night and the fun and games you had with all of us was brilliant. Lorraine Kinnen, Event Organiser. Deloitte. Thanks Greg for your fantastic performance at our showroom launch for the new Mercedes C Class. Staff and clients all provided excellent feedback. Your professional manner, fun and enthusiasm is exactly what the night required. We'd be delighted if you could represent our brand at future events. Tracey Walker, Head of marketing and events, Mercedes Benz Glasgow.